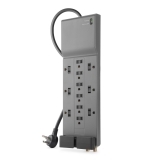 12-Outlet Surge Protector with Phone/Coax Protection, 8 ft. Cord is rated 3.0 out of 5 by 6. 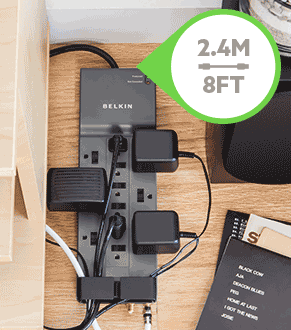 With six regular outlets and six BlockSpace outlets, the Belkin Surge Protector can accommodate larger power adapters, like oversized printer and charger plugs, without blocking the other outlets. 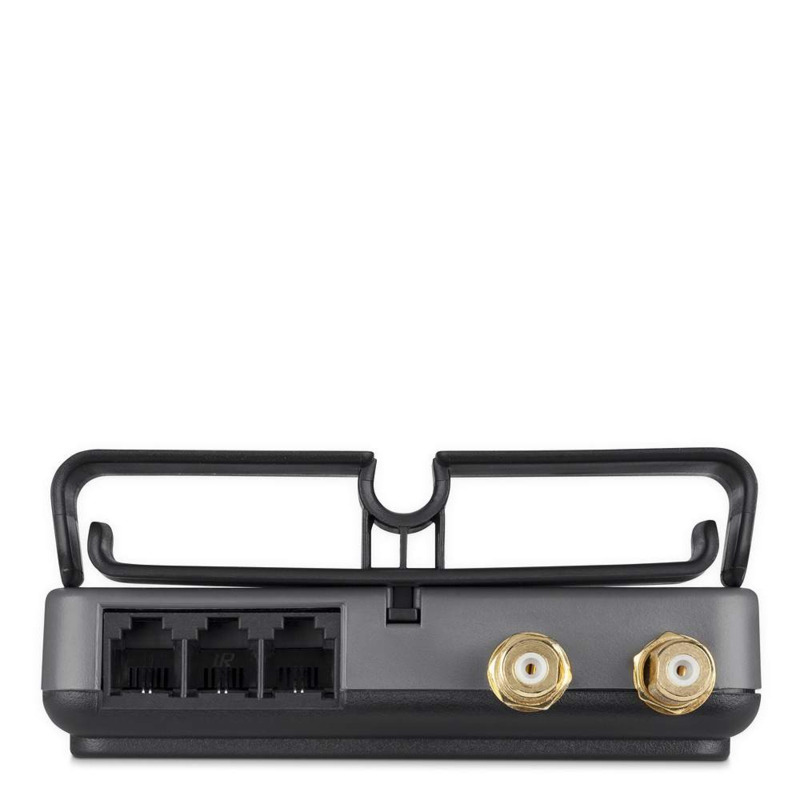 The detachable cord management clip keeps cables organized. 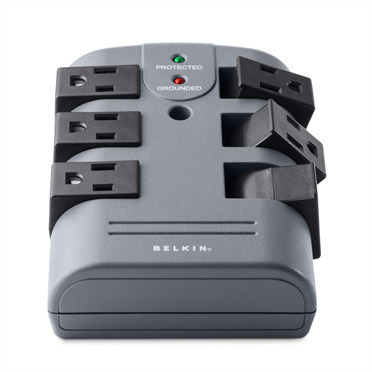 With the Belkin 12-Outlet Surge Protector, you don't have to guess whether or not your electronic devices are protected against damaging voltage fluctuations, surge, and spikes. 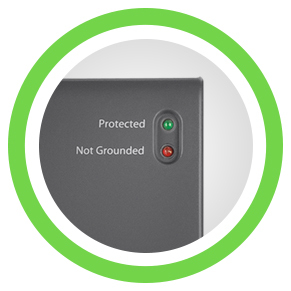 The "Protected" indicator light turns green to let you know that your equipment is secure, while the "Not-Grounded" indicator light turns red to warn you when your outlet is not properly grounded. Rated 5 out of 5 by WalkerBoh from Love this This is my second one of these. 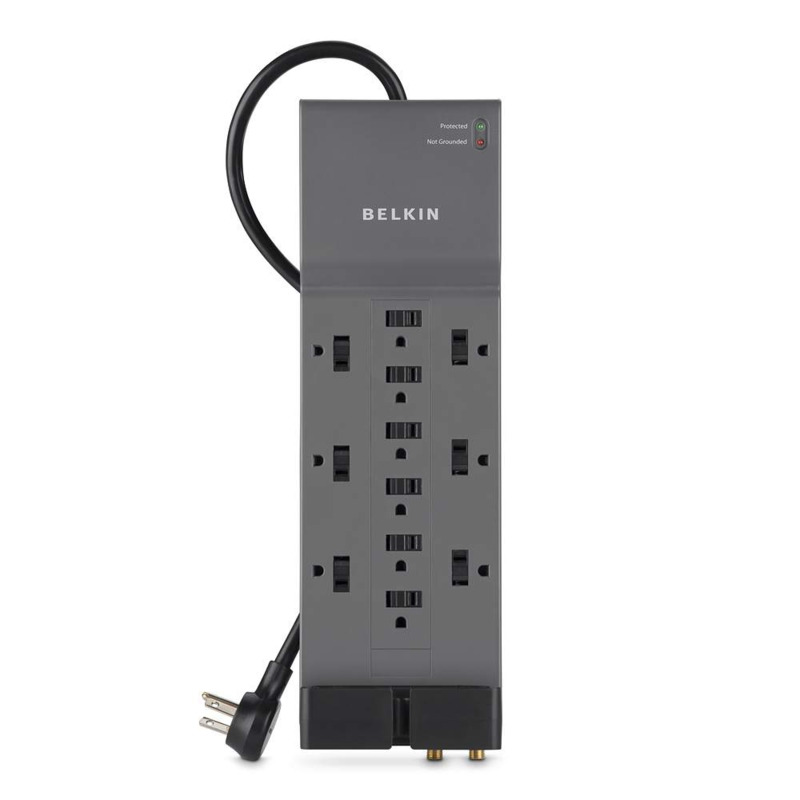 It's got a great layout, and so many outlets. 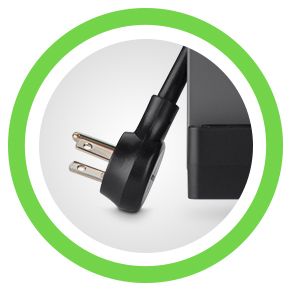 I plug each of mine into a UPS, so I get clean power that way. I just need a way to add outlets to my UPS (You know, over load it). Even now I'm thinking of where I can use another one of these in the house. Rated 1 out of 5 by Jimmi from Lasted less than two weeks Only lasted for about two weeks. 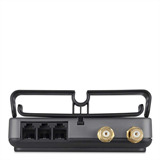 Used for TV, game console, sound bar, internet and router. Didn't have any issue with cheap option, but needed to add for sound bar. 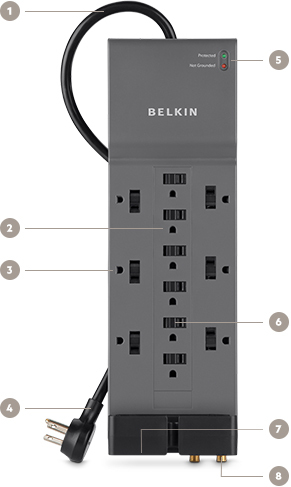 Thought Belkin would be a great option...it was not! 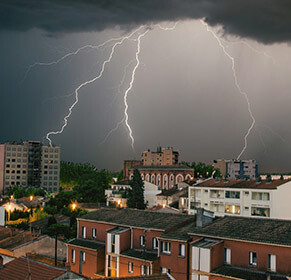 Rated 1 out of 5 by rwolson2 from Didn't Work As Expected We had lightning hit near our apartment. 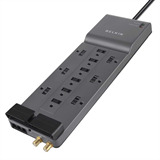 This surge protector was in use and connected to a television, cable box, router, modem, and gaming console. 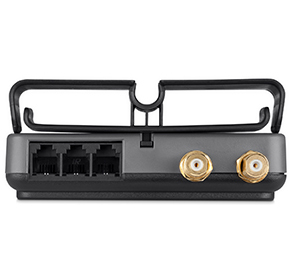 The router and tv no longer work correctly. 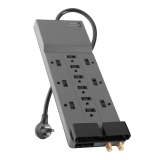 I expect a surge protector to protect from surges, completely. A 60% success rate just doesn't cut it. Rated 2 out of 5 by Protectedyetfailed from Saved my electronics, but could've been much worse My neighbourhood got hit with a massive surge when a driver took out a hydro pole near my house overnight. 4 breakers tripped on my electrical panel. This surge protector saved my electronics but could've burnt down my house. It left a couple of burn marks on the carpet from where the screw holes are on the bottom of the unit. I opened the unit and found 2 MOVs completely blew as well as the thermal fuse between them-- a charred/burn mess. I'm not an electrical engineer, but a small white "box" beside the line coming from the power switch also burnt out and partially melted the bottom of the case, directly under it. 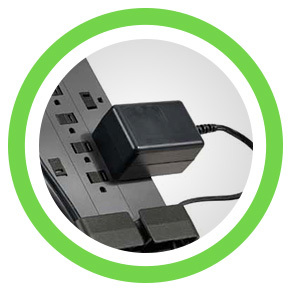 After the power came back on, the surge protector was still delivering power to the devices plugged into it. I went to work and good thing my wife was home because she smelt a burning smell when she was working in her home office and found it was coming from the surge protector. If she wasn't home, I have no idea what could've happened... it could've completely caught fire. I have another BE112230-08 in my house that did not experience this issue (I'm going to open up my other one and see how the insides look), but my trust in this brand is definitely shaken. The power switch on the unit says "reset" next to it, but it doesn't appear to actually be resettable breaker. If it is a breaker, this massive surge should've tripped it. There is obviously no failsafe fuse in the design to prevent it from operating after a massive power hit like this. The unit should not have been able to function after being compromised like this. I'm now replacing all the surge protectors in my house and went with a different brand whose only business is power/electrical. Rated 5 out of 5 by PACMAN151 from Buy b 4 you fry !!! 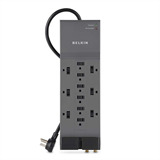 Hey tech's this is the one ( # 1 ) surge suppressor to buy great joules protection, 12 taps, 7 transformer spaces - 6 on side + 1 on end - right handed 8 ft heavy duty cord -14 gauge, cord management tool, COAXIAL PROTECTION !, Quality ! durable, last for years & years, wall/baseboard mountable, N O T J U N K !!! 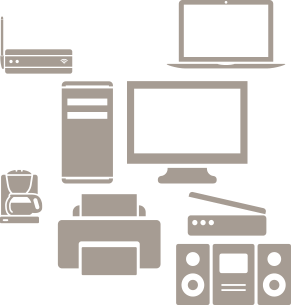 Saves $$$ in %150 total loss of a/v equipment. 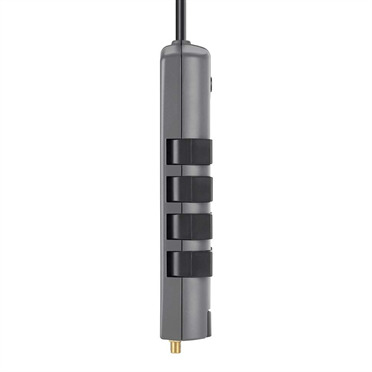 Rated 4 out of 5 by randomreviewer from Nice product Had ours for a while and it works great. Never had any problems. Would recommend it.